Slot Machines Dispersion - What is it? Before playing online slot machines it would be useful to get some basic theoretical knowledge on their characteristics and peculiarities affecting the game. One of the major characteristics involves dispersion. Dispersion is often confused with cashout percentage, but these are two different notions. Cashout percentage is a part (in %) of bets, which are paid out by a casino. Dispersion shows risk level while playing a slot machine. All slots can be divided into three categories: high-, medium-, and low dispersion slots. High dispersion slots can bring you big winnings, but this happens rarely. Playing low dispersion slots, you can win small amounts of money quite often. Medium dispersion slots are the most common ones. 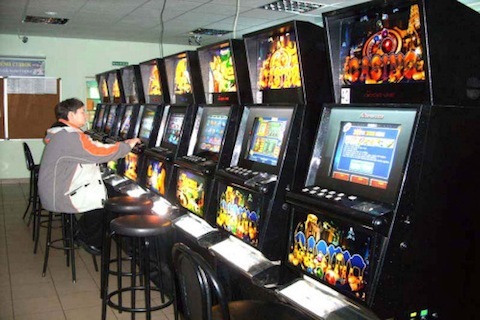 How to know the dispersion of slot machines? As neither slot machines manufacturers, nor casinos provide information on the level of dispersion, players should determine dispersion themselves, using cashout tables. A lot of players focus on the maximum rate, by which the most rare slot symbol combination is paid. E.g., the maximum cashout by over х10000 rate means high dispersion, under х10000 rate – medium dispersion, and under х5000 rate - low dispersion. However, this method is rather simplified and can`t be fully relied on. For example, you should know what amount of cashout 5 or 6-drum slots offer for combinations of three and four symbols. The cashout less than the one for combinations of five symbols means high dispersion. Insignificant difference tells us about low dispersion. The Wild sign, appearing on the screen of the slot, tells that the dispersion is low. Online casino players enjoy the advantage of determining dispersion themselves. To judge about dispersion, one should launch a test version of any game and play it for some time. If the number of chips is gradually becoming less, but then is followed by a well-paid combination, it means that the dispersion is quite high. Frequent but small cashouts for unsophisticated combinations and slowly changing bankroll tell about low dispersion. So, we can assert that slots that offer stunning progressive jackpots have high dispersion. How to play to the slots machines with low- and high dispersion? Game strategies while playing low- and high dispersion slots differ. If you prefer low dispersion slots machines, your bankroll lasts longer, because frequent, though small, cashouts prolong the pleasure from playing. In this case you won`t be able to get big winning, though. High dispersion slots machine are likely to swallow your money before a profitable combination falls. But if you are lucky enough to hit it, you can call it a day.